Affordable housing? Oh no its not! End of social housing too! 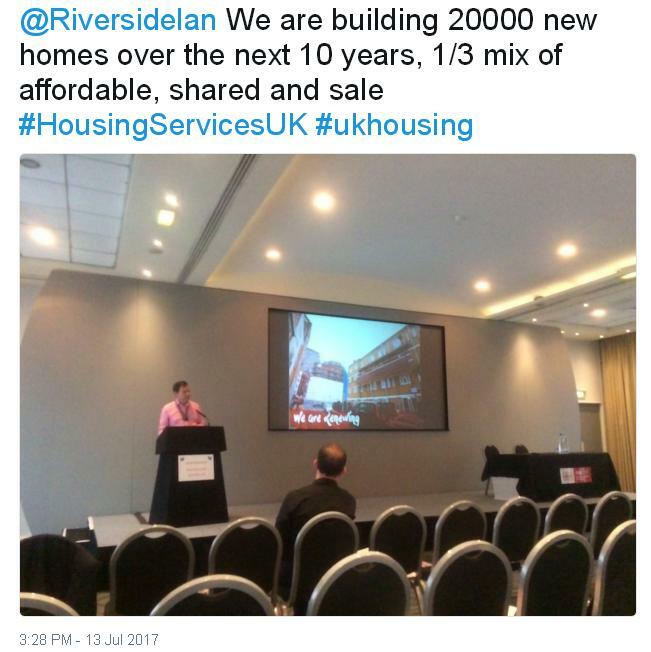 We need to talk ..
London Mayor Sadiq Khan announces nearly 50,000 new houses … over 4 years of which we are told roughly one-third will be ‘affordable’ … yet set at a new London affordable rent that is between 10% and 43% higher than existing social rent … social rent is, sorry was, the traditional post-war rent figure that was genuinely affordable. Then Riverside Housing Association announce 20,000 new affordable (sic) housing … over the next ten years … and only one-third of them will be for rent which of course is the ‘affordable rent model’ that is between 38% and 49% higher than the traditional social rent in the regions where Riverside have the vast majority of their housing. The rest or two-thirds will be shared ownership or outright sale. Social rent is dead as in the London case it is both councils and housing associations charging up to 43% more than social rent and with Riverside up to 49% more – so all social (sic) landlords will never go back to it – and in Riverside’s case they have decided NOT to build for social rent for the next TEN YEARS! Calling this the end of social rent and indeed the end of social housing and the end of social ethos or purpose by council and housing association landlords is most definitely NOT hyperbole: It is simple fact. Using the penultimate column (Social Rent Total) we see that a 1 bed SRS property in London has increased from £101 to £144.26 per week – a 43% increase. 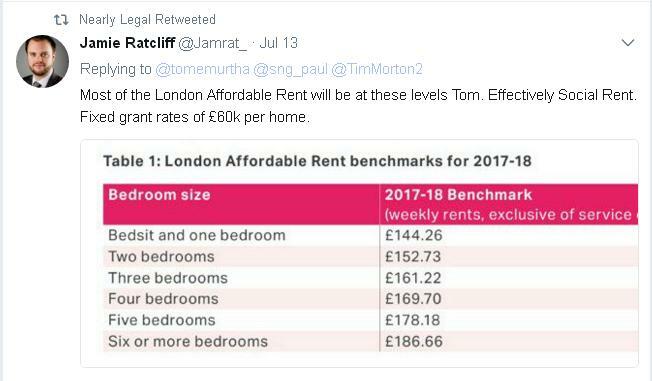 Like all versions of ‘affordable (sic) rent’ the tenant is being screwed for considerably more by housing association and council landlords for more in rent because the Tory government does not pay ‘subsidy’ any more (yet is still paying £60k in the London examples note well!!) so the landlords screws the tenant for considerably more in ongoing rent than they ever did before, yet still claim to be social landlords! These uplifts may well be financially necessary yet they can never be described as social and nor can the landlords who implement them. As you can see this announcement was given by a PR consultant for Riverside to a clearly rapt audience of 1 person!! Perhaps Riverside (circa 56,000 properties) were hoping that nobody would notice they have pulled out of the social rent market for the next ten years!! I could easily turn this into a rant over the word social and I am right to say that councils and housing associations are no longer social at all and that social housing – what we used to call council housing and a key element of the 1948 Welfare State to conquer the Giant of Squalor – is no more, is brown bread, is a parrot pining for the fjords because it is TRUE. This is economic madness and a quite disgraceful sleight of political hand to call new housing developments affordable as they are not. We need to reconsider affordable! Affordability is not just measured in percentage of net income terms that the rent takes up. For rent to be affordable the tenant has to be able to save money for a mortgage deposit too. So when purportedly social landlords are charging up to 49% more in actual rent then they cannot save for a mortgage deposit. Affordability has to include this key mortgage deposit saving factor as ALL political parties in the UK have economic theory based on growth and ALL are panicking that the home ownership rate which peaked under Blair in 2004 at 71% of the population has today fallen to 64% – a ten per cent drop in home ownership no less – that means in crude but valid terms that we are keeping up LESS with the Joneses and not buying enough new white goods, home improvements and all the other purchases that home owners do. There are any other factors such as stagnant wages, ZHCs and others giving a lack of consumer confidence yet the simple equation is the more you charge in rent the less that a renter can save for a deposit. This is stating the blindingly obvious yet that is precisely what has been happening since 2010 under the Tories administrations that has also seen the much higher charging private rented sector overtake social (sic) landlords in the number of rented properties and now by some distance too! The more that housing associations an councils charge in rent the chances of so many tenants becoming home owners (as ALL political parties want) diminishes as house prices continue to rise and rise. This is a deadly economic double whammy that is NOT being discussed by government (who blame the planning system in today’s latest announcement by Sajid Javid the Communities Minister) and not being discussed by landlords as they are only concerned with numbers of new builds and the considerable rent increases that go with them and prop up their profits. The Corbyn / McDonnell approach to allowing councils to borrow so they can build again is the only logical way to meet the new housebuilding targets of 300,000 per year. Local councils used to build upwards of 200,000 per year while housing associations have never built more than 40,000 per year. Many see that suggestion as political yet it is not and it makes huge economic sense AND building 100,000+ new council houses per year will increase home ownership! Council housing at a social rent level allows tenants to save more and save more quickly for the elusive mortgage deposit and that too is stating the bloody obvious … yet it is not seen as that because it sounds perverse in political terms. I’ll leave it there and invite some discussion and comment and as perverse as it sounds or reads, the more council housing we have at genuinely affordable rent levels the greater and quicker the home ownership rates increase which is what ALL political parties want and will increase economic growth which, rightly or wrongly, ALL political parties have as their underlying economic policy. UPDATE – There is a significant political point in the London figures of Sadiq Khan as these figures at up to 49% more DO also have £60k worth of subsidy each. So this plan is a bad deal for London tenants AND the political point is that this undermines the Corbyn / McDonnell plan for councils to offer properties at a social rent if Labour allows them to borrow. Councils will say if London councils can charge 43% more with subsidy then we want to charge 43% more! Sadiq Khan’s decision has put the knife into Corbyn’s plan that I am sure many on the left of the Labour Party will pick up …. Riverside have been pulling out of social housing for a long time by selling off properties as they become vacant. They could make them more easily let by turning box rooms to bathrooms. There’s a dire need for 2 bed homes. Or turn them into 2 one bed flats. Easily done as several private landlords have done just this with the same properties. . Note also that London Affordable Rents will be inflated by CPI + 1% each year. That’s an above inflation increase. Compound that over a few years and these homes will become considerably less affordable over time. And I hear once a tenant leaves they will be ‘converted’ to the full AR level for the new tenant! Brighton and Hove are building a new development of affordable rent properties (defined as 80% of private rent levels) including 3 beds which will be £200 more a month than the LHA cap for the area. Affordable for whom? One question. Surely the majority of people who live in “affordable” housing will get all or most of their rent paid by housing benefit/LHA so they are not really affected by the cost as the state picks up the tab anyway? Most HAs/Councils will only rent to households who will either have their rent covered by HB/LHA or rent to people with high paying jobs.